If you could only have one kind of goldfish food available for the rest of your fish keeping days, pellets would probably be your best choice. 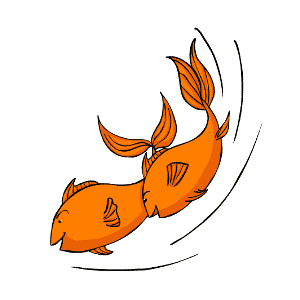 For the goldfish owner and lover, they are an irreplaceable diet staple. So, why should you feed them to your aquatic pets and what is the best way to do it? 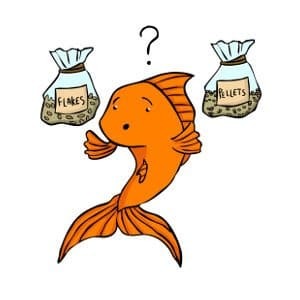 Choosing the right brand of pellets for your goldfish isn’t always easy. There are so many different kinds – which one is best? That question really depends on your individual needs as a goldfish owner. While most any kind will do just fine, each brand has something else to offer. If you want to promote the vibrant coloring of goldfish, you may consider purchasing a kind that contains Spirulina (an ingredient proven to enhance bright colors in fish). As a rule, cheaper is not always better. Don’t skimp on buying quality food just because you want to pinch pennies! 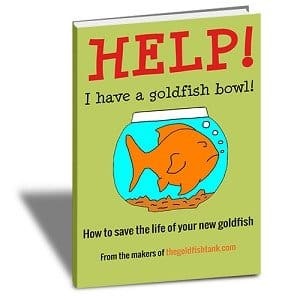 Your goldfish depend entirely on you to provide them with the nutrition they need to live. It’s worth it to invest in them for a little extra – remember how much you want them to be healthy and grow big and strong! Think about the size of your fish when considering the food you are going to buy. Pellets come in a wide variety of sizes, and you will want to make sure they can fit in your fish’s mouth! It may be worth seeking pellets from a place other than your local chain pet sore. Many high-quality brands such as Hikari are not found there but can be ordered online, such as an online fish supply store. 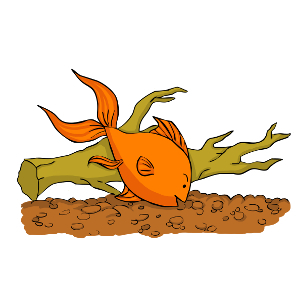 These are formulated to help promote certain things for your goldfish, such as wen development or intense coloring. Whatever you choose, it doesn’t hurt to buy more than one brand for several reasons. Not only can you test them out to see which you like best, but you can have some more options for your fish’s meals and help keep their diet balanced. I always keep at least 2 different kinds on hand for the simple reason that it is one more way to offer dietary variety. Feeding Goldfish Pellets: How and How Much? Once you have decided on what kind or kinds of pellets to feed, you will want to follow some simple steps when you feed them. Pour the desired amount of pellets into a small container filled with tank water to soak them for a minimum of 20 minutes, or until they become plump and very soft. Always soak any dried food you feed to your goldfish. This will help aid in their digestion and make it easier for them to chew. Pour the container into the tank – water, pellets and all. Alternatively, you could pinch some between your fingers (gently!) and administer them by hand to your goldfish. This is always enjoyable! Be sure not to pinch them too much or you will grind them into a messy cloud and foul the water. Also, if you choose to feed by hand, make sure your hands are clean beforehand! No soaps, perfumes, lotions, nothing. And especially no chemicals such as those that will remain after using a wet wipe. Rinse out the container in tap water once every week or so. It will get very scuzzy after a while if you don’t. Do not use soap because the residue could poison your fish. How much you feed also depends on the size of your fish and how many fish there are. The general rule of thumb is feed them as much as they can eat in 2 to 3 minutes and no more because goldfish will never stop eating! Pellets are a great goldfish food. Not only are they nutritiously delicious for your fishy friends, but they are also relatively easy on their digestive system and, when soaked, do not cause swim bladder problems. Should you get a goldfish?